What Is the Relationship Between a Molecule & an Atom? Atoms are best thought of as the smallest indivisible bits of ordinary matter. In fact, their name is derived from the Greek for "cannot be cut." Atoms consist of protons, neutrons and electrons, although the smallest and simplest kind, the hydrogen atom, contains no neutrons. An element is matter consisting of a single kind of atom. When you look at the periodic table of the elements, every box you see is occupied by a substance with a unique arrangement of protons and neutrons. In the special case of only a single atom of an element being present, the definition of "atom" and "element" are identical. Alternatively, you might have 10 or 100 or 1,000,000 tons of matter consisting of only a single element, so long as every atom in that giant mass is identical. Put slightly differently, when presented with an atom and an element and told that only one is microscopic, you know which is an example of an element (although not all aggregations of a single element, of course, are large enough to be seen with the naked eye or even a conventional microscope). What Are Some Examples of Atoms? Every atom can include three different components: protons, neutrons and electrons. In fact, every atom besides the hydrogen atom contains at least one of each; hydrogen consists of one proton and one electron, but has no neutrons. Protons and neutrons have almost the same mass, with that of a proton being 1.6726231 x 10-27 kg and that of an electron being 1.6749286 x 10-27 kg. Electrons are tinier still, so much so that their combined mass can be neglected for practical purposes when computing the mass of a given atom. One electron has a mass of 9.1093897 x 10-31 kg. Atoms in their elemental form contain equal numbers of protons and electrons. A proton carries a small positive electrical charge, designated +1, whereas an electron carries a charge of -1. Neutrons carry no charge, so an ordinary atom has no net charge as the proton's positive charge and the electron's negative charge cancel each other out. Some atoms, though, have unequal numbers of protons and electrons, and thus carry a net charge (e.g., -2 or +3); these atoms are called ions. Physically, atoms are arranged roughly like the solar system, with smaller bits of matter spinning around the far more massive center. In astronomy, however, gravitational force is what keeps the planets revolving around the sun; in atoms, it is an electrostatic force. The protons and neutrons of an atom clump together to form the center, called the nucleus. Because the nucleus includes only positive and non-charge-bearing components, it is positively charged. The electrons, meanwhile, exist in a cloud around the nucleus, drawn to it by its positive charge. The position of an electron at any instant cannot be precisely known, but its probability of being in a given location in space can be calculated with high accuracy. This uncertainty forms the basis of quantum physics, a burgeoning field that has moved from the theoretical into a number of important applications in engineering and computer technology. What Are the Names of Atoms? The periodic table of the elements is a universal means for scientists and beginning students alike to become familiar with the names of all of the different atoms, along with a summary of their critical properties. These are found in every chemistry textbook and in limitless places online. You should have one handy for reference when consulting this section. The periodic table contains the names and one- or two-letter abbreviations of all 103 elements, or if you prefer, atom types. 92 of these are naturally occurring, while the heaviest 11, numbered 93 through 103, have been produced only under laboratory conditions. Each element's number in the periodic table corresponds to its atomic number and hence the number of protons it contains. The box in the table corresponding to an element usually shows its atomic mass – that is, the total mass of its protons, neutrons and electrons – on the bottom of the box, below the name of the atom. Since for practical purposes this amounts to the mass of the protons and neutrons alone, and because protons and neutrons have very close to the same mass, you can deduce how many neutrons an atom has by subtracting its atomic number (the number of protons) from the atomic mass and rounding off. For example, sodium (Na) is number 11 in the periodic table, and has a mass of 22.99 atomic mass units (amu). Rounding this to 23, you can then calculate that sodium must have 23 - 11 = 12 neutrons. From all of the foregoing, you can gather that atoms become heavier as one moves from left to right and from top to bottom in the table, like reading a page in book on which every new word is just a little bigger than the preceding word. The periodic table includes 18 columns, though not every possible space in every column is occupied. The first complete row – that is, the first instance of all 18 columns containing an element – starts with element number 19 (K, or potassium) and ends with number 36 (Kr, or krypton). This seems awkward at a glance, but it ensures that atoms with similar properties in terms of their bonding behavior and other variables remain in easily identified rows, columns or other groups within the table. What Are the Different Types of Atoms? Isotopes are different atoms that have the same atomic number, and are hence the same element, but have different numbers of neutrons. They therefore vary in their atomic mass. More information on isotopes appears in a subsequent section. 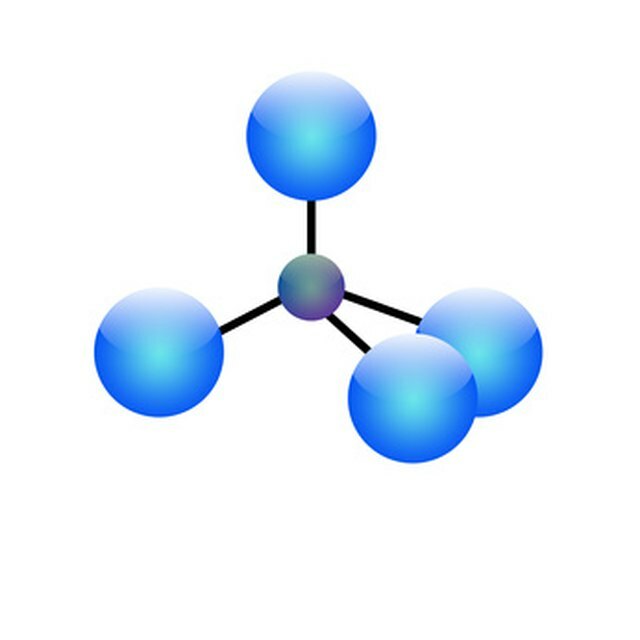 Bonding behavior is one of various criteria by which atoms can be separated. For example, the six naturally occurring elements in column 18 (He, Ne, Ar, Kr, Xe, Rn) are called the noble gases because they are essentially nonreactive with other elements; this is reminiscent of how, in old times, members of the nobility classes did not mingle with common folk. Metals can be divided into six types (alkali, alkaline earth, transition, post-transition, and the actinoids and lanthanoids). These all fall into distinct regions in the periodic table. The majority of elements are metals of some kind, but the 17 nonmetals include some of the better-known atoms, including oxygen, nitrogen, sulfur and phosphorus, all of which are essential for life. What Are Compounds and Molecules? A compound is made from one or more elements. For example, water is a compound. But you can also have one or more elements or compounds dissolved in another, liquid compound (usually water), like sugar dissolved in water. This is an example of a solution because the molecules in the solute (the dissolved solid) do not bind to the molecules of solute (such as water, ethanol or what have you). The smallest unit of a compound is called a molecule. The relationship of atoms to elements mirrors the relationship between molecules and compounds. If you have a chunk of pure sodium, an element, and reduce it to its smallest possible size, what remains is a sodium atom. 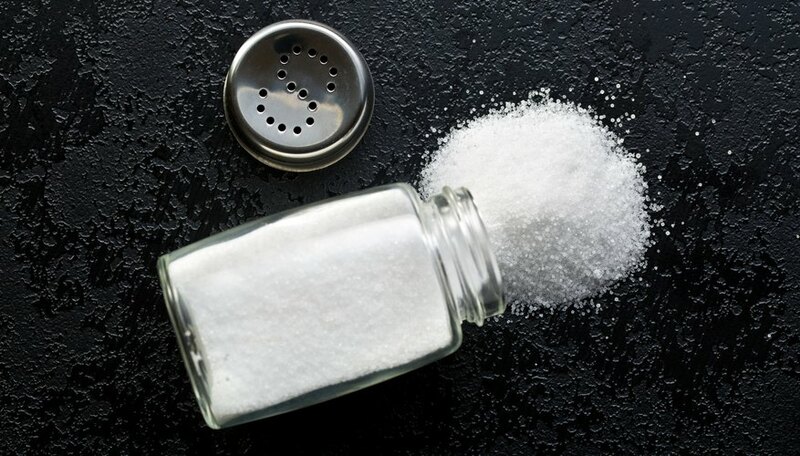 If you have a collection of pure sodium chloride (table salt; NaCl) and reduce it to the smallest from it can take while maintaining all of its physical and chemical properties, you are left with a sodium chloride molecule. What Are the Major Elements? The 10 most abundant elements on Earth make up about 99 percent of the mass of all of the elements found throughout the planet, including in the atmosphere. Oxygen (O) alone accounts for 46.6 percent of Earth's mass. Silicon (Si) accounts for 27.7 percent, while aluminum (Al) checks in at 8.1 percent and iron (Fe) at 5.0 percent. The next four most plentiful all exist as electrolytes in the human body: Calcium (Ca) at 3.6 percent, sodium (Na) at 2.8 percent, potassium (K) at 2.6 percent and magnesium (Mg) at 2.1 percent. Elements found in sizable quantities in visible form, or elements that are merely notorious, can be considered major elements in some sense. When you look at pure gold, be it a tiny flake or a large brick (the latter being unlikely! ), you are looking at a single element. That piece of gold would still be considered gold even if all but a single atom remained. On the other hand, as NASA notes, a gold coin could have about 20,000,000,000,000,000,000,000 (20 septillion) gold atoms depending on the coin's size. An isotope is a variant of an atom, in sort of the same way a Doberman Pinscher is a variant of a dog. One important property of a given type of atom, you'll recall, is that its atomic number, and hence the number of protons it contains, cannot change. Therefore, if atoms are to come in variants, this variation must be the result of differences in neutron number. Most elements have a single stable isotope, which is the form in which the element is most commonly found. Some elements, however, exist naturally as a mixture of isotopes. For example, iron (Fe) consists of about 5.845 percent of 54Fe, 91.754 percent of 56Fe, 2.119 percent of 57Fe and 0.282 percent of 58Fe. The superscripts on the left side of the element abbreviations indicate the number of protons plus neutrons. Since the atomic number of iron is 26, the above-listed isotopes, in order, have 28, 30, 31 and 32 neutrons. All isotopes of a given atom have the same chemical properties, meaning that their bonding behavior is the same. Their physical properties, such as their masses, boiling points and melting points, are different, and are the means used to distinguish between them. Jefferson Lab: What Is the Simplest Way of Explaining What Atoms, Elements, Compounds and Mixtures Are? What Is the Comparison Between Atoms & Molecules? Beck, Kevin. "Examples of Atoms, Elements & Isotopes." Sciencing, https://sciencing.com/examples-atoms-elements-isotopes-14165.html. 26 October 2018.